Professional Development for those in Health Services, Education and Music Therapy. 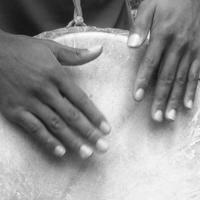 Therapeutic Drum Facilitator Training is a protocol developed by Roger Duncan (BA Psychology, TDF, DCF, DBF and Founder of The One World Drum Co.) designed to show you how to create and lead your own drum circles leveraging individual and group potential through synergetic relationships. 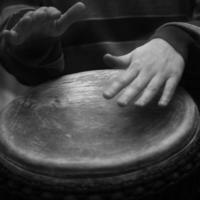 Roger recognizes the therapeutic value of drumming, and how it increases capacity for relationships and resilience in children and adults alike with the creation of community, increase in self-expression and self-regulation, thus building capacity for a healthier more productive life. This foundation training is a flexible template that can adapt to different ages, skills, and outcomes. As well it can be tailored to fit the experience and skill level of the presenter. It draws on the same processes as language acquisition and is generative in nature just as language is and so can continue to challenge students as their skills evolve. . Learn... An easy to follow step by step program, Basic drum technique, A language of leadership, Social drum circle games for all ages, Effective strategies to build the 4 "C's" - Confidence, Commitment, Collaboration and Cooperation. Lunch, morning and afternoon snacks will be catered.